Let stand for four days in a warm place in a jar with loose-fitting lid. Mix in another 100 g lukewarm water and 60g flour. If the leaven has risen properly and you see that there are lots of bubbles in it, you know it’s ready. Bake directly – or running into the jar in the fridge. Mix together and let stand overnight. Run all an assistant 10-15 minutes or do it yourself In the end put the salt in the end.Let the dough rest and rise for 1-2 hours and then bake the dough out and form them as you want! Have the owen at 250 Degrees but when you put the bread in, lower the temperature to 200. I love having the ingredients in a good order Before start baking. And a note to this recepie: it might look complicatet with all these Days to prepare a sourdough and all the exact grams here and there. I felt the same when I started to bake with these kind of recepies. I must admitt that know when I have baked quiet a lot I almost never follow one recepie when I just bake at home. 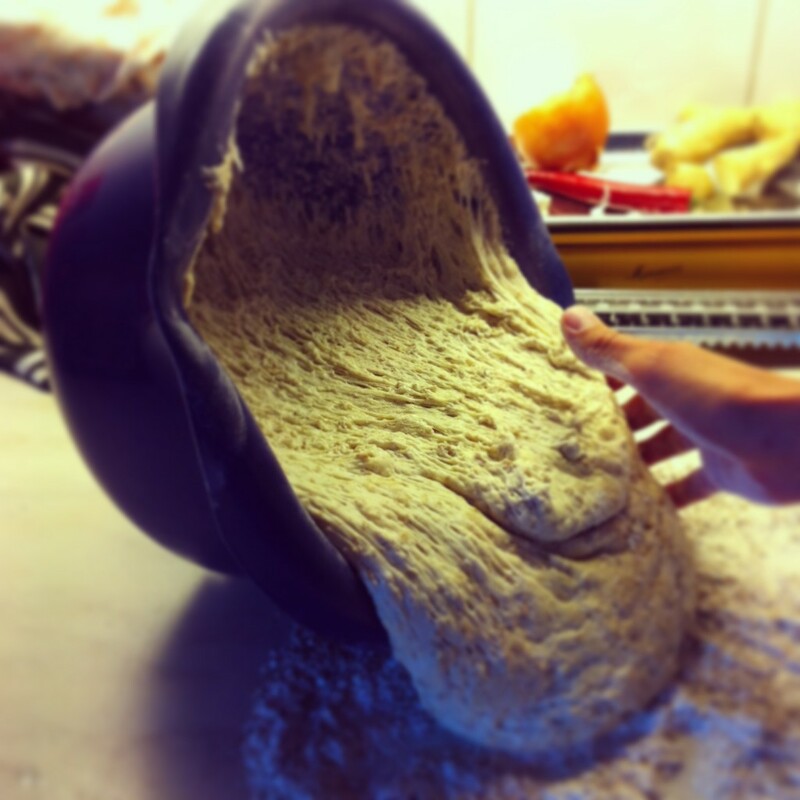 I will post Another reciepe when I don´t do a sourdough like this! 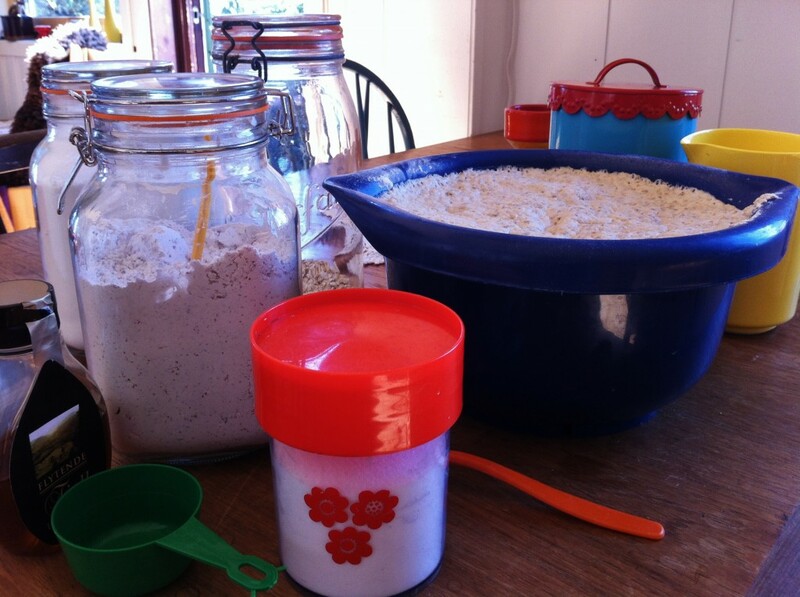 But it´s Always good to try and get to “know” different kind of flour, the dough and how it react when you mix different flours. As Emelie say, this might seem complicated but it’s the easiest bread I have made! So I make this often because I is so good and easy 🙂 just get familiar with the sourdough and your going to think it’s easy too! And it’s worth a try!